Welcome to the new season....the new you! There's a nip in the air and these wonderful leggings are just what you need to keep you nice and warm. 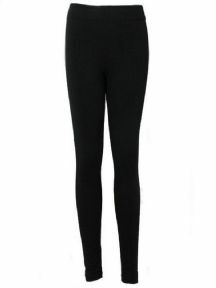 These super full length leggings have a wonderful soft fleece lining. The stretch Lycra fabric and high waist gives the perfect fit. Lycra leggings are so versatile and can be worn with flats or heels, both equally stylish. Superior Quality Leggings Boast the Comfort of Soft Stretch Fabric. 90% Polyester 10% Elastane for a Super Fit. Thicker Fabric for Maximum Style.